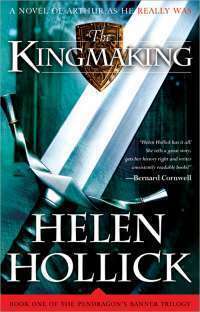 Helen Hollick - Reviews -"The Kingmaking"
The first in a Trilogy about King Arthur - written as what might have really happened. "Camelot is less a romantic kingdom than a lusty and fragmented realm in this spirited retelling of Arthurian legend, the second novel in Hollick's projected trilogy (The Kingmaking). 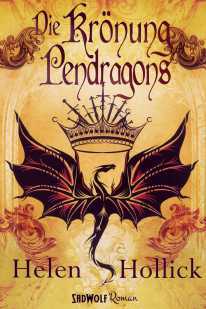 Over the years, Arthur Pendragon and Gwenhwyfar have accumulated a vast array of estranged relatives, rivals and half-mad adversaries. Among the most formidable of their enemies are Winifred, Arthur's embittered ex-wife, who's plotting to ensconce her son, Cerdic, as heir to the throne, and Morgause, a manipulative priestess who wants to consolidate her power in the north to become queen of the realm. Hollick manipulates a large cast of characters with a deft hand. She is most successful in depicting Arthur and Gwenhwyfar not as a newly married couple but as parents who grieve as their three sons are endangered by many calamities. In an author's note, Hollick writes: "Arthur Pendragon, to those people who study him, is a very personal and passionately viewed character. We all have our own ideas, insist ours is the correct one, and argue like mad with anyone who disagrees!" He stepped back, leaving Arthur to stand alone as a great clamour rose up into the sky. The lad smiled now, the pain and sorrow fading with that great roar of acclaim. Cunedda was wrong: five had known Uthr had his heir. Arthur had known him to be his father. Why else had he loved the man so, and the man been so fond of the lad? He grinned, broadly triumphantly, at the pride in Cunedda's face, the unexpected pleasure on those of his sons. Arthur winked boyishly at the exultant Gwenhwyfar. Unexpected, Cunedda knelt before the lad, offering his sword as a token of his loyalty. Few heard the words he spoke, above that tumult of approval raised by those watching men. It did not matter, all knew the oath of allegiance. Arthur could not hide his consternation at so great a man kneeling at the boy's feet. With shaking fingers, he touched Cunedda's offered sword, then impulsively he raised the man and embraced him as a friend. If it were possible, the roar increased. Men of Gwynedd yelled their delight at seeing their Lord accepted by the new Pendragon, and the men of Uthr, heartsore and bruised, shouted and cheered, relieved to have their anxiety and uncertainty so splendidly lifted. One by one the sons of Gwynedd stepped forward to follow their father's example. Etern too knelt. As Etern, wiping away a tear, stepped aside, Gwenhwyfar, with head high, strode forward. The sun burst through a low covering of misty cloud, making her hair and jewels sparkle with dazzling brilliance. She knelt solemnly before Arthur, her grace and hint of woman's beauty showing clearly through the lankiness of her child's body, catching every watcher's attention. The noise abated. No woman took the oath of loyalty. What was this girl-child about? Arthur took her hands in his. Like a fool he felt the sudden urge to cry. Looking down at her earnest face, his dark eyes seeing deep into the hidden secrets of her tawny flecked green, he realised how much he wanted her for his own. "A wonderful book...breathes new life into an ancient legend"
"A uniquely compelling novel which is bound to have a resounding and lasting impact on Arthurian fiction." "Helen Hollick has it all! She tells a great story, gets her history right and writes consistently readable books!" "An epic tale... Helen Hollick has done her homework meticulously and her story gleams with convincing Dark Age detail."